One of the biggest complaints that internet users have with online advertising is that the ads tend to distract and get in the way of the content being shown on the website. This can indeed be a problem, but advertisers and publishers have now discovered a way to get the ads in there without readers immediately known that what they are looking at is an ad. This is what is referred to as native advertising, and it is an approach that is becoming more common. Let’s look at some of the pros and cons of this type of advertising. When using banner or video ads on a website, the advertiser needs to be cognizant of the dimensions of said ads so that they will fit in the allotted space on the website. Since native advertising is often done in article form, it can easily adapt and blend in with all the other content that is posted on the blog or website. A sponsored article also has a title, an image and a small snippet. Sometimes, the native ads are delivered as a snippet or preview, complete with a clickable link to learn more. Instead of being shipped off to another site, clicking this link opens up the rest of the sponsored ad on the same website, making it more like a full article and at the same time, a smoother user experience. This benefits the publisher and the advertiser, which is what good advertising methods should be about. Native ads are very flexible and very adaptable by definition, which is great news for all websites because ads on video sites are not the same as ads on article sites. Sponsored articles, sponsored videos, and sponsored links are all different ad formats but they can also be combined when you choose a suitable adserver. Many options are available to suit the screen the final ad is displayed on. You can really get in-depth data on native ads, which includes being able to see how long people read the sponsored article, how many clicked on to read more, how many clicked to the landing page, and even how many people shared the piece via social media. As organic-looking as native ads are, they still need to be relevant to the site that they are being displayed on. The sponsored article should be about the same or a complementary industry. The website’s visitors should feel as though they are being given additional and valuable information as opposed to being blatantly forced to see the ad just because the publisher puts it there. 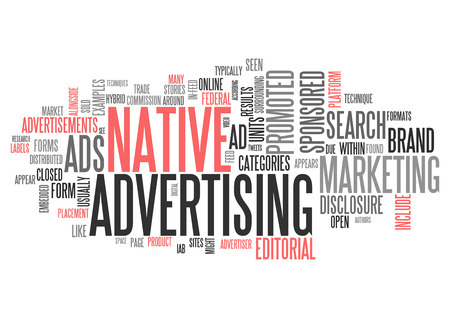 Therefore, the publisher should be selective when approving which native ads to be displayed on his/her website. When you see an ad on TV, in print, or on a website, you are fully aware that you are looking at something that an advertiser has paid for. With native ads, it is not always obvious that what you are reading or looking at has been sponsored by a third party. It is for this reason that publishers need to make it clear that it is in fact a sponsored article, an infomercial, or an ad, and not an organic part of the website. The indicator could be a small heading text or a special icon. For many publishers, native advertising is a great way to add relevant content into their website whilst also creating another revenue stream. As long as it is made clear that what is being shown is an ad and it is relevant and targeted, there is no reason to feel anything but good about using this type of advertising.